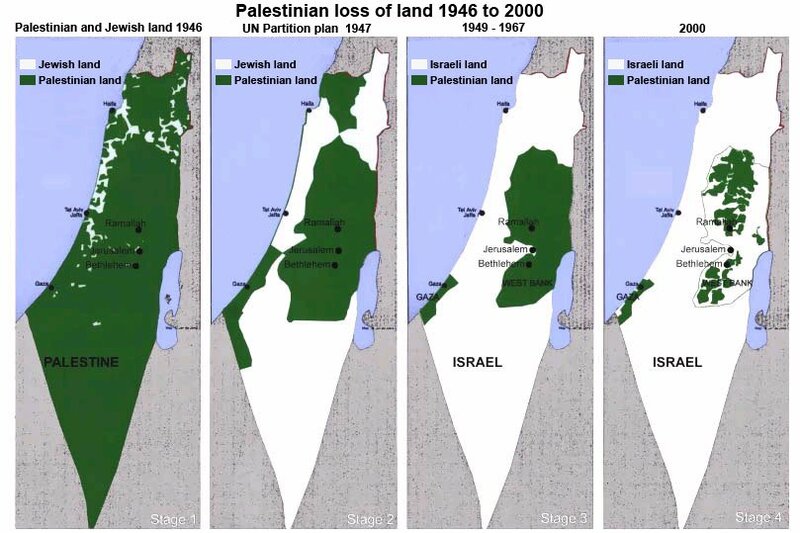 One of the most effective graphic representations of Palestine is the map that demonstrates the changing of its borders as Israel has expanded itself over many decades. You know the one. It’s a reminder that most often, a slow, decades-long war of attrition can be the most destructive to a people than a war in the sense that many of us would imagine first. When rendered in this way, Canada’s map looks strikingly similar to the link above. Through its own genocidal policies, war of attrition and slow-paced though violent land grab, Canada stands as a map for what Israel is doing currently. It’s hard to imagine how their construction of illegal settlements is any different than the settlement policies of Canada during the 1800s to fill Turtle Island with Ango-Saxons. That’s how my family came to Canada. Unfortunately, Canada’s too big for the image to be as easy for me to render (especially since my design skills aren’t so good). But I offer the image below as a starting point for others to use and change. The past week, the Canadian Press reported that 3000 kids can be confirmed as having died at Residential School. Considering the fact that many schools’ designs included cemeteries in their plans, I’m sure we should assume that number to be much higher. But regardless, when I think back to my elementary school, and how not only did we not have a cemetery on our grounds, but that none of the kids in my school died while I was there, one kid’s death is too many. 3000 confirmed by the state; some of the manifestation of genocide. Solid piece there. One issue with the meme, though. The depiction of Newfoundland, in particular, is pretty misleading in the first image. The ongoing fable (which was perpetuated by various Dominion and provincial governments) of the Beothuk as the sole Indigenous population of the island has been historically very damaging for the equally indigenous population of Mi’kmaq. This long-held, yet incorrect, mythology breeds the notion that the Mi’kmaq were as foreign to the island as the very colonial powers which took control of the island. These notions being tied to some nasty propaganda from the British ruling class that said peoples were brought to the island from Nova Scotia by their enemy, the French, to massacre the Beothuk, for example (which was actually taught in gov. sponsored textbooks and the like). This is in turn tied to long-standing social stigma around being Mi’kmaq in Newfoundland, which has led in turn to generations of marginalization for said community. So yeah, just a footnote to that. That’s an important correction. I didn’t create the maps (just put them together), but I didn’t catch that either. Thanks!